YOU’LL FIND US IN THE HEART OF DOWNTOWN STAMFORD. Fairfield County Communications is conveniently located in vibrant downtown Stamford, Connecticut. 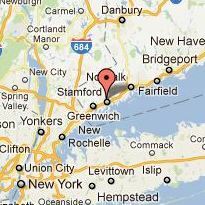 As one of the only locally owned and operated phone system providers headquartered here, we’re proud to serve all of Fairfield and Westchester Counties. From our office, we’re capable of meeting all of your business telecommunication needs rapidly and effectively. For driving directions to our office, please click on the pushpin below. To schedule an appointment, please call 203-327-9444 or contact us today.